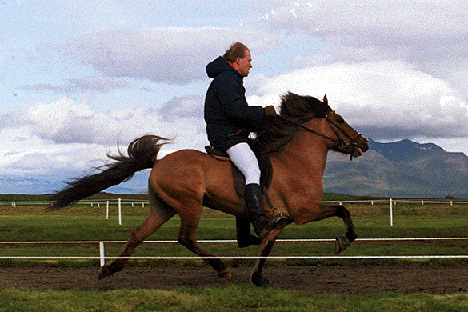 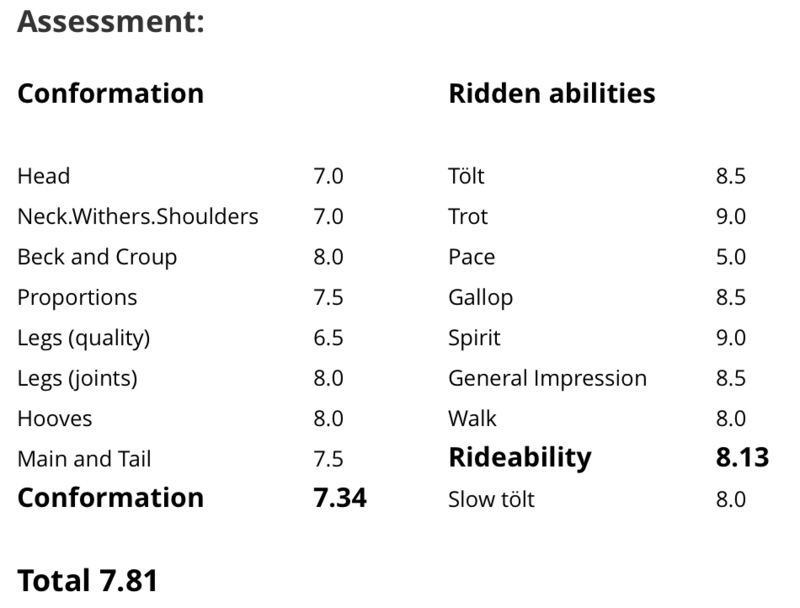 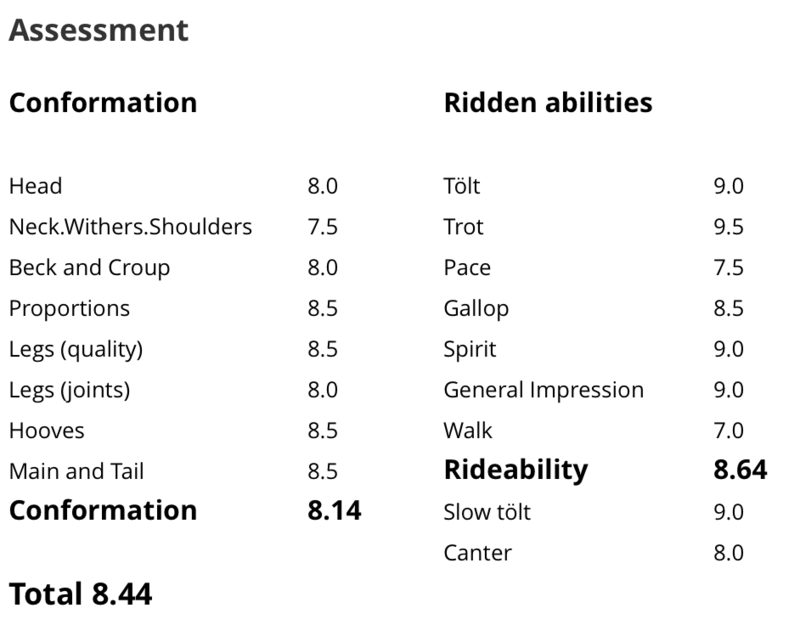 Very promising mare, daugher of Kjerúlf frá Kollaleiru (8.44) and Dröfn frá Stað. 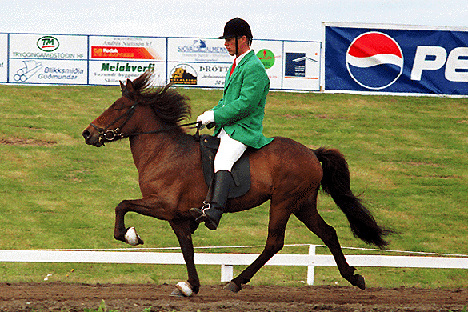 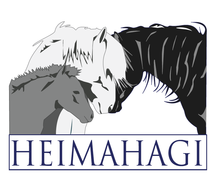 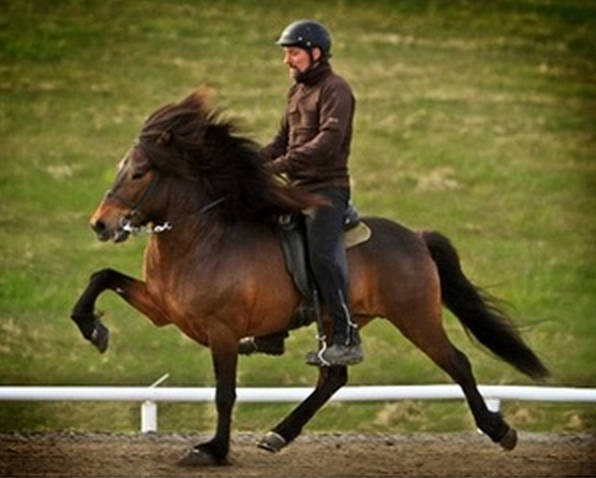 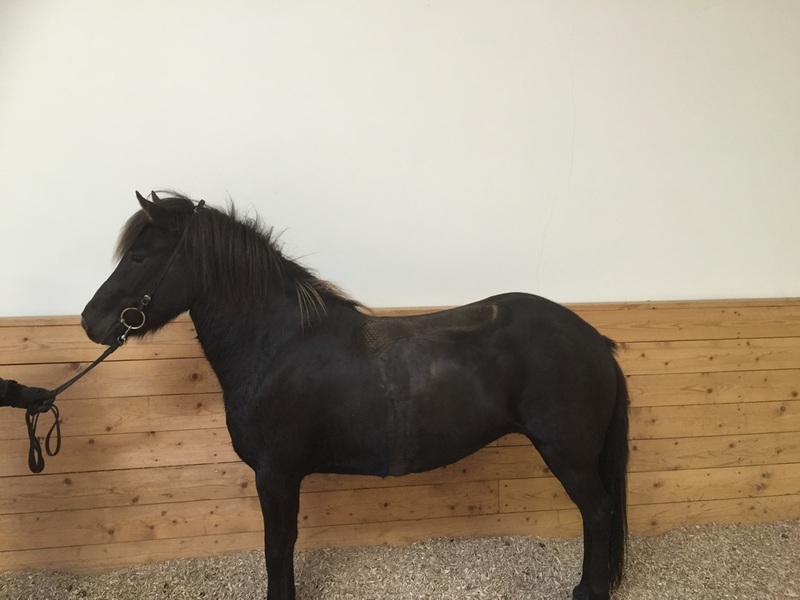 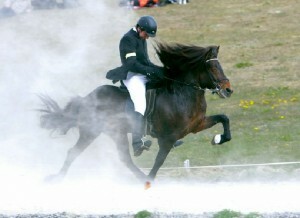 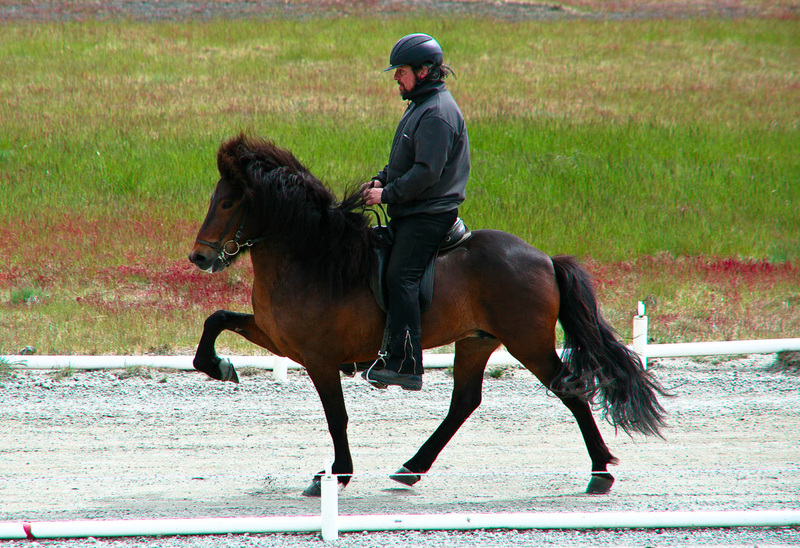 Róm frá Heimahaga is a very beautiful and promising mare, black with a star and daugher of the great stallion Kjerúlf frá Kollaleiru and Dröfn frá Stað. 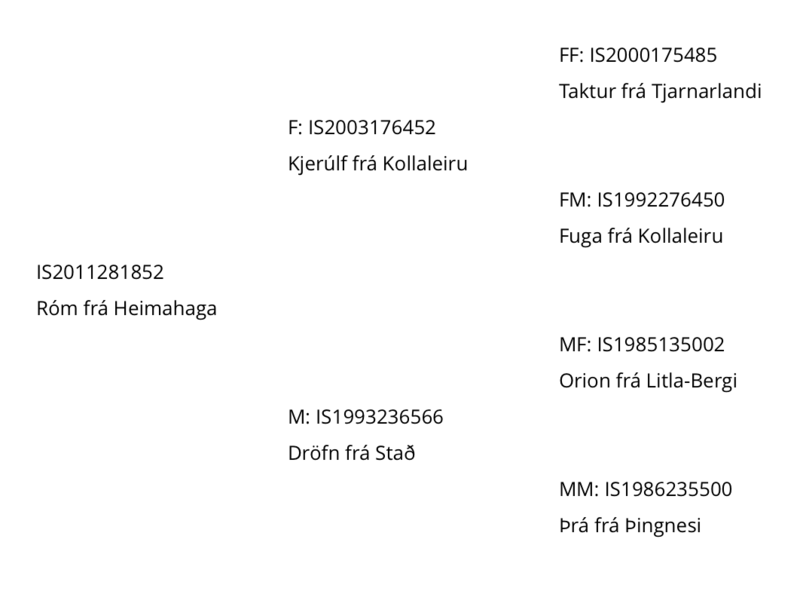 Dröfn is owned by Heimahagi along with six other Dröfn's offsprings. 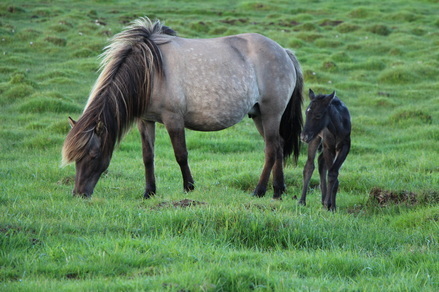 Róm is sister of Krít frá Miðhjáleigu, same mother.